What an inspiring, beautiful list of award-winning book winners for 2014. 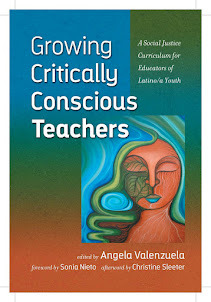 Glad to see friends Roxanne Dunbar-Ortiz , José Luis Vilson, and Duncan Tonatiuh on the list. I'm also a fan of Chimamanda Ngozi Adichie. Check out her exquisite Ted Talk, The Danger of the Single Story that a list like this happens to address. Congratulations, all! Great X-mas gift options to choose from. Such ignorance, arrogance, and hypocrisy. The flip, easy thing is to scoff and view as ridiculous the SBOE, and Texas, generally. It's actually not funny at all if we unpack the bias contained within that is simply a more extreme version of what is otherwise generally the rule. As Milton Gordon laid out in his definitive treatise, ASSIMILATION IN AMERICAN LIFE, the United States is not a pluralistic society where different groups with their own respective institutions thrive on relatively equal ground in harmony with other groups. Nor is ours a melting pot society that results in the creation of a new synthesis called "American." Instead, Gordon termed this "Anglo conformity," where the English language and Anglo cultural mores, and values (like individualism, a belief in a meritocracy, and free market capitalism) reign supreme. Aside from the facts about Moses and the Constitution and the shady process of textbook adoption by the Texas SBOE that are serious enough issues, I underscore just how problematic it is to cast our country as a “redeemer nation,”when if anything, it needs redemption from its many atrocious and continuing sins, beginning with the genocide, conquest, and colonization of native people and slavery—a past with which it still needs to fully reckon. 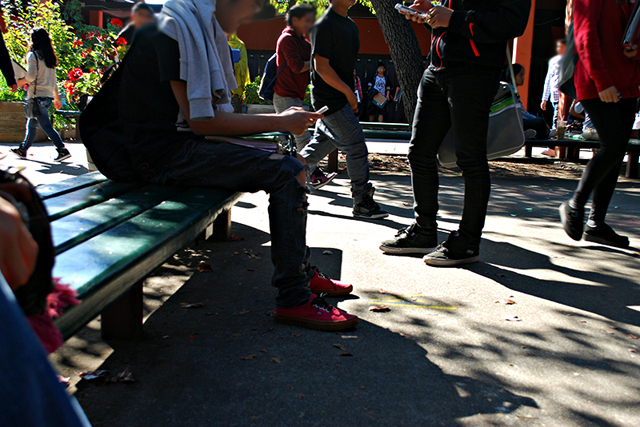 The current crop of seniors will likely be among the last not containing a majority of Hispanic students. It will also, based on preliminary enrollment data from the 2012-13 school year, probably fall among the last without a majority of students. from impoverished backgrounds. The unspoken logics of cultural bias, chauvinism, dominance and the fear of the "other," lay behind Anglo conformity as instruments of control—and the continuing agenda of historical erasure of the histories of native people—lay behind moves like these that are important to call out. Young people, you have all the means at your disposal, to not only investigate all of this on your own, but to investigate the SBOE itself. Find out who represents you and how they voted on this decision and let them know what you think. Vote in school board and State Board of Education elections. Consider running for this office in your own district. Educate yourself so that you, too, can stand up to these misrepresentations of the Bible and the U.S. Constitution and just as importantly, the larger, historic agenda to exercise cultural dominance and power over you behind lies and distortions like these. So don't scoff at the board; get organized and get these right-wing zealots out. Because curriculum entails the reproduction of consciousness, there are perhaps no more important battles than these anyway. At the very least, liberate your minds! On Friday the Republican-controlled Texas State Board of Education voted along party lines 10-5 to approve the biased and inaccurate textbooks. The vote signals a victory for Christian conservatives in Texas, and a disappointing defeat for historical accuracy and the education of innocent children. In essence, Christian conservatives in Texas have successfully forced a false historical narrative into public school textbooks that portray Moses as an influence on the Constitution and the Old Testament as the root of democracy. Critics called the whole process into question after publishers posted a number of last-minute changes to the textbooks yesterday, leaving board members and observers without time to figure out exactly what was in the approved texts. According to reports, scholars did not have an opportunity to review and comment on the numerous changes publishers have submitted since the last public hearing. Some of those changes appeared to have been negotiated with state board members behind closed doors. the new textbooks also include passages that suggest Moses influenced the writing of the Constitution and that the roots of democracy can be found in the Old Testament. Scholars from across the country have said such claims are inaccurate and mislead students about the historical record. Emile Lester, a professor of history in the Department of Political Science and International Affairs at the University of Mary Washington, claim the textbooks contain “inventions and exaggerations” about Christianity’s influence on the Founding Fathers and, by extension, the formation of American democracy. Scholars claim the decision to include the biblical figure of Moses in social studies education is part of a concerted effort by Christian extremists to promote the idea that the United States is a “redeemer nation” – giving a divine justification for supposed American exceptionalism. The proposed textbooks are deeply flawed, and have no place in a public school classroom. It is wrong and factually incorrect to teach Texas public school students that the Founding Fathers based the Constitution on the Bible. Despite the efforts of Christian conservatives to pervert and twist U.S. history to satisfy their religious superstition, the fact remains Moses was not the first American, and America is not a Christian nation. I'm re-posting from AlterNet. The Texas SBOE does it again. As much as I like Moses, there's a definite problem here. 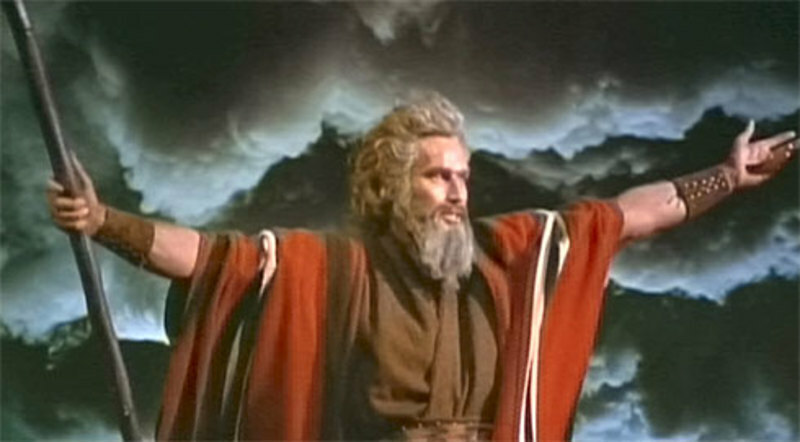 New school books claim that Moses influenced the writing of the Constitution. The Texas State Board of Education approved several dozen social studies textbooks after a contentious battle over their treatment of subjects including climate change, the role of slavery in the Civil War, Islam, and biblical influence in America’s founding. 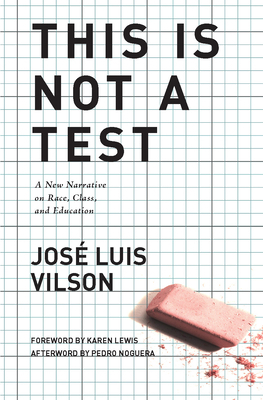 One major publisher, however, withdrew a book from consideration, saying that it was unable to meet all the standards set by the school board. The Texas Education Agency posted scores of pages of publisher comments and textbook revisions after the last public hearing on Tuesday. Miller said scholars did not have an opportunity to review and comment on the numerous changes publishers have submitted since the last public hearing on Tuesday. Some of those changes appeared to have been negotiated with state board members behind closed doors. During a months-long process, publishers made a number of improvements to their textbooks. Those improvements included removing inaccurate information promoting climate change denialism; deleting offensive cartoons comparing beneficiaries of affirmative action to space aliens; making clearer that slavery was the primary cause of the Civil War; and revising passages that had promoted unfair negative stereotypes of Muslims. Scholars and the general public had ample opportunity to review and comment on those revisions. However, the new textbooks also include passages that suggest Moses influenced the writing of the Constitution and that the roots of democracy can be found in the Old Testament.Scholars from across the country have said such claims are inaccurate and mislead students about the historical record. The Truth in Texas Textbooks Coalition, all but unheard from for months while new social studies textbooks and instructional materials were being vetted, submitted a 469-page report in late October identifying more than 1,500 “factual errors, omission of facts, half-truths and agenda biases” in proposed materials. Among its objections: A passage on coal mining should say it has “minimal effect on the environment"; a chapter on Spanish colonization of Latin America should point out the “continuous discrimination and oppression practiced by the native American peoples on each other”; and a statement that Shariah law requires religious tolerance of non-Muslims should be removed. The group was formed by retired Lt. Col. Roy White, a Tea Party activist who also leads the Bexar County Chapter of ACT! for America, an organization dedicated to fighting extremist Islam. Its founder, Brigitte Gabriel, is known for her views that Muslims in the United States pose a danger to national security. TFN tells us that it appears that Truth in Texas Textbooks did not succeed in getting any "substantive changes" into the books. For the critical and open mind, these are great X-mas presents. 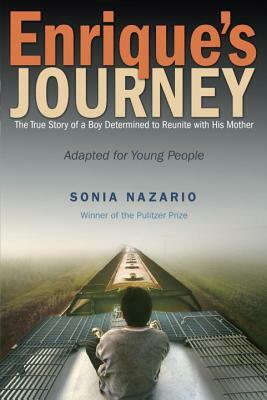 They put a face on the complexity of these children's lives that collectively bear the brunt of a multiplicity of decidedly harsh and severe factors beyond their control. Nevertheless, a major point that Nazario makes and with which I agree, is that while all of these children are seriously traumatized by this horrific journey, we as a receiving community in the United States have a lot to work with. They have what some call "grit" beyond measure— indeed, unlike anything that our country has ever seen. This not at all an exaggeration. They have their wits, coupled with courage and determination, to survive. 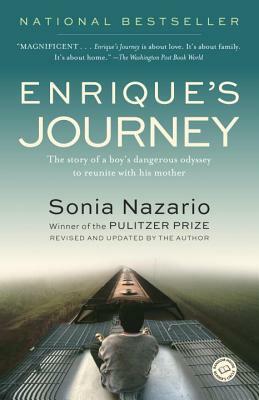 We are all indebted to to Sonia Nazario, as well, for her courageous efforts and sacrifice in bringing this story to light. Happy Thanksgiving, all! In trying to get a fuller grasp of Mexico's current political crisis as indicated in my preceding post, I came across this amazing piece by leading scholar and intellectual, Jorge G. Castañeda. "The key to that series, the single element that explains the opacity of Mexican society and politics to so many, is the simple but critical fact that Mexico is radically, substantively, ferociously different from the United States, and will remain so for the foreseeable future. The mistake that many outside Mexico made was to believe that the highly perceptible differences of the past were superficial enough to be swept away by a modernizing leader and an apparently acquiescent population." After all, Castañeda states, Mexico profundo/ Deep Mexico is another reality. Along those lines, Guillermo Bonfil Batalla's book, Mexico Profundo, is a pertinent and equally powerful read. It speaks to the historic subordination of Mexico's indigenous people and thusly, amounts to a colonization of the self. The role of memory in Mexico is big in a way that it's not for us in the U.S. This makes Mexico a much more unpredictable country than the U.S. would like. AS Mexico sinks into economic and social depression, it may be time to dwell on some of the lessons of this new Mexican meltdown -- the fourth major debacle in Mexico in less than two decades -- for the country itself and for its neighbors to the north. It may be worthwhile to wonder why foreigners in general, and Americans in particular, so often seem caught by surprise by what happens in Mexico: they should know by now, given proximity, import, and history. The United States -- meaning, essentially, the press, academia, business, and government -- cannot be blamed for the disaster that befell Mexico late in 1994. But no one should have been surprised by the economic crisis that struck on December 20, when the newly inaugurated President, Ernesto Zedillo, devalued the currency and plunged it into a downward spiral. Nor should Wall Street and Washington have been caught off guard by the political and psychological turmoil springing from the revelations of corruption, abuses, and sheer delinquency in which the outgoing administration of President Carlos Salinas de Gortari had engaged. All that happened in the course of the first few months of this year was warned of, written about, and clearly visible early on in the Salinas years. But few opinion leaders in the United States saw the writing on the thick white walls that crisscross Mexico City. With growth at disappointingly low levels since 1992, the economy began to run up a huge trade deficit. The Mexican "economic miracle" was singular indeed: all imports, no growth. By the start of 1993, a full year before the Chiapas uprising, at the moment when the currency should have been devalued according to economists and Mexico experts, Mexico was growing negatively in per capita terms, and that year it required $22 billion, much of which came in the form of short-term speculative capital, to finance its yawning external gap. From the outset this huge deficit was being financed chiefly by portfolio investment, the drawbacks of which were self-evident:volatility, dependency on high interest-rate differentials with the rest of the world, and the stability of exchange rates. The NAFTA debate in the United States obscured a crucial trade-off: in order for Mexico to become a dynamic market for American exports -- providing "good jobs at good wages" for U.S. workers -- it had to maintain an overvalued currency that would eventually drive Mexican firms out of business and Mexican workers out of their jobs. All of this was calculated, said, and denounced by countless Mexican and Latin American economists and pundits; it was simply ignored north of the border, except by a few critics of the Bush, Salinas, and Clinton governments whose views were dismissed as partisan, resentful, or simply out to lunch. Nor were the telltale signs of corruption and abuse noticed. The dubious activities of President Salinas's family were the talk of Mexico City from the outset of his administration, as were the growing influence and impunity of the nation's drug lords. The violence inherent in Mexican society, magnified by more than a decade of economic stagnation and several years of economic policies that resulted in a further concentration of income and wealth, was also pointed to by many, yet not acknowledged by those with money to invest, axes to grind, or treaties to ratify. The woeful lack of political reform, and the autocratic fashion in which Carlos Salinas implemented his economic modernization program, were repeatedly underlined in Mexico, and even in the United States. But the link between politics and economic policy in the South was not seen by the North: the nonsimultaneity of glasnost and presumed perestroika in Mexico was lamented but not singled out as something that might lead to disaster. Alien as the idea might appear if it were introduced into the United States, enlightened despotism was deemed perfectly natural for Mexico:what a pity that Salinas, who was doing the right things, was doing them the wrong way. The very notion that it might not be possible to pursue this self-contradictory course indefinitely was rarely considered, let alone identified as a source of major trouble to come. What made Mexico once again so opaque to the beholder from abroad? What rendered the foreign -- mainly American -- regard so distorted, so blind, so mistaken? Clearly, the answer must highlight the incestuous relationship that soon developed among brokerage firms and investment banks peddling Mexican paper, self-styled experts on Mexico advising those financial institutions, and Bush and Clinton Administration officials who sought to avoid at all costs embarrassing or weakening their newfound friends in the Salinas regime, particularly when the latter embarked upon the NAFTA adventure. Even correspondents for the U.S. press in Mexico fell for Salinas's charm and urbanity, and for their editors' discreet but persistent suggestions that Mexico's modernization be reported on "fairly." And undoubtedly, as Carlos Fuentes has written, the idea of incorporating Mexico fully into the U.S. economic sphere at a bargain-basement cost proved an irresistible temptation for both a Republican and a Democratic Administration. Enhancing that temptation was the laissez-faire ideology sweeping both parties, with its thought-paralyzing mantra of "free trade." Everyone had a stake in Mexico's succeeding in its effort to achieve what "everyone"wanted:a more market-oriented, more pro-American, more compliant, and, if possible, more democratic Mexico. But this explanation, while necessary, is obviously not sufficient. As so often in the past, a deeper series of factors made Mexico mysterious, even to the most trained or sympathetic eye. The key to that series, the single element that explains the opacity of Mexican society and politics to so many, is the simple but critical fact that Mexico is radically, substantively, ferociously different from the United States, and will remain so for the foreseeable future. The mistake that many outside Mexico made was to believe that the highly perceptible differences of the past were superficial enough to be swept away by a modernizing leader and an apparently acquiescent population. The mistake that many inside Mexico made was to persuade themselves (ourselves)that those differences would surface automatically, almost immediately, and work their magic directly in the streets and villages and at the polls. From abroad, the absence of reaction to change was interpreted as support -- enthusiastic at best, resigned at worst. Domestically, opposition was reduced to waiting for the children of Sanchez to rise up in arms or protest over the destruction of their myths, if not their world. Both views missed the point: the Mexican difference is everything a difference should be -- no more, no less. This essay explores that difference. Inequality THE onslaught of events in Mexico since New Year's Day, 1994, when the peasants of Chiapas took the city of San Cristobal and CNN by storm, must have surprised the authors of Newsweek International's 1993 year-end "Conventional Wisdom Watch" section, who had enthusiastically hailed Mexico's NAFTA-inspired transformation into a U.S. "sunbelt state." But a guerrilla uprising, a successful conspiracy to assassinate the ruling party's presidential candidate and, subsequently, its Secretary General, the jailing of a vaunted President's brother, the same President's exile, and the complete collapse of an economy supposedly on the verge of an Asian-style boom were not exactly what one would expect in Arizona. Journalists, anthropologists, historians, and writers over the years have, of course, attempted to explain the origins of these and other surprises by pointing to differences in background, religion, history, economic development, language, and ethnic origin. All are valid. But these differences were supposedly overshadowed in recent times by a presumed commonality of purpose, enlightenment, and economic doctrine. The advent of a "modern" Mexico -- business-oriented, outward-looking, and sympathetic to most things American -- blurred the contours of a different Mexico: one that, despite the convergence of ideas among the elites of both nations, remained profoundly different from the United States, and capable of generating the very surprises that have cropped up in the past couple of years. Three essential divergences come to mind, which contribute as much as any other factors to our being two different peoples and cultures. One is economic and social; the other two are cultural. First, the United States is fundamentally a middle-class society, in which, although inequalities have undoubtedly sharpened over the past decade or two (making it, as a recent New York Times article explained, the most unequal of all industrialized societies), 64 percent of households received what many consider to be a middle-class income in 1993. Mexican statistics tend to be unreliable -- but Mexico appears to be something quite distinct. Although great progress was achieved from 1940 to 1980 in building a middle class, Mexico is still (recent data indicate more than ever) a polarized society, with enormous gaps between rich and poor, town and country, north and south, white and brown (or criollos and mestizos). There is, of course, a middle class in Mexico, but it constitutes a minority of the population: somewhere between a quarter and a third. The majority -- poor, urban, brown, and often without access to the main attributes of modern life in the United States and other industrialized countries (public education, decent health care and housing, formal employment, social security, the right to vote and serve in government, jury duty, and so forth) -- mingles with itself. It lives, works, sleeps, and worships apart from a small group of the very wealthy and a larger but still restricted middle class. The United States is the proverbial mass society (though less so than formerly), in which a white, middle-class, suburban majority coexists with various minorities that are undeniably though unevenly segregated and discriminated against. Mexico is a society terribly riven by class, race, gender, age, region, and future, in which a middle- and upper-class minority segregates and discriminates against the vast majority of the population. It is one of the most unequal societies around, though not one of the poorest. Nonetheless, it is poor: in 1992 nearly 65 percent of wage earners received up to but not more than twice the minimum wage -- at the time, around $100 a month. According to a more recent estimate, 55.8 percent of all Mexican households have a yearly purchasing power of less than about $5,000. In 1992 the richest 10 percent of the population received 38 percent of the country's total income, and the poorest half only around 18 percent; the trend in recent decades has been worsening, not improving. Some countries are worse: in 1990 in Brazil the richest 10 percent received 53 percent of total income, and the poorest half only 10 percent. But India, not exactly the epitome of equality, has a much fairer structure, and in the United States the numbers are quite different from those in Mexico. Until the polarization of family incomes took hold in the Reagan years, the richest 10 percent in the United States received 31 percent of total income, while the poorest half received about 25 percent. Another contrast between the two societies can be found in the middle sectors. In the United States, even after the Reagan revolution had worked its shrinking effects on the middle class, the third, or middle, quintile received 15 percent of total income. In Mexico in 1992 it received only 12 percent. Herein lay, probably, the greatest mistake made by NAFTA's opponents in the United States. By systematically emphasizing and sometimes exaggerating Mexico's poverty, which is real enough, and confusing it with Mexico's inequality, they undercut a strong argument, inequality, by focusing on an inaccurate one: abject, generalized poverty. Alexander von Humboldt, the German writer and traveler, and perhaps the world's first Latin Americanist, made the point as early as 1802: "Mexico is the country of inequality," he wrote. "Perhaps nowhere in the world is there a more horrendous distribution of wealth, civilization, cultivation of land and population." Foreign writers from B. Traven to Ambrose Bierce, photographers, anthropologists, and observers from all walks of life have reached the same conclusion over the years. The contrast between rich and poor in Mexico and the extremes reached by both are rarely seen elsewhere. According to the 1994 Forbes portrait of the world's wealthiest individuals, after the United States, Germany, and Japan, the country with the largest number of people on the list was Mexico; that number jumped from two to twenty-four during the Salinas reign. Their declared fortunes combined would represent almost 10 percent of Mexico's gross domestic product for a year -- not that anyone wishes to confiscate their wealth or believes that confiscation would serve any purpose. Yet outside city limits, or where the broad avenues and glittering stores within the cities end -- San Bernabe in Monterrey, or just behind the Mexico City airport -- tens or hundreds of thousands of people live in squalor, with no running water or sewer lines and only rudimentary electricity. El Mexico Profundo BUT the inequality is not simply economic; it is also social. A government undersecretary (one level down from the top echelon of public service) earned in 1994 (prior to devaluation) approximately $180,000 after taxes, excluding health insurance and perquisites but including all sorts of bonuses, premiums, and expense accounts -- almost twice what his U.S. counterpart earned before taxes. His chauffeur (provided by the government, of course) made about $7,500 a year. The official addresses the employee with the familiar "tu," while the latter must speak to the former with the respectful "usted." The official and his peers in the business and intellectual elites of the nation tend to be white (there are exceptions, but they are becoming scarcer), well educated, and well traveled abroad. They send their two children to private schools, removed from the world of the employee. The employee and his peers tend to be mestizo, many are barely literate, and they have four or five children, most of whom will be able to attend school only through the fifth grade. Certain equalizing institutions that reduced injustice and segregation in the United States for many years, before they ran into nationwide resistance, have never really existed in Mexico. Nominally there is a draft; in fact no son of even a middle-class family will ever be forced to comply with the draft. The public school system did play a certain equalizing role in the past, and still does to an extent. Every President of Mexico to date has attended public schools and the National Autonomous University of Mexico or the Polytechnical Institute. But odds are that no children of sitting Cabinet members, leading businessmen, opinion-makers, artists, or civil servants are enrolled in a public institution below the university level. The decades after the revolution -- through the 1950s, perhaps -- provided some upward mobility, some mingling, certainly the advent of a new business elite and a middle class. But the impetus was soon lost. By the 1980s Mexico was once again a country of three nations: the criollo minority of elites and the upper middle class, living in style and affluence; the huge, poor mestizo majority; and the utterly destitute minority of what in colonial times was called the Republic of Indians -- the indigenous peoples of Chiapas, Oaxaca, Tabasco, Michoacan, Guerrero, Puebla, Chihuahua, and Sonora, all known today as el Mexico profundo: the deep Mexico. These divisions explain in part why Mexico is as violent and unruly, as surprising and unfathomable, as it has always prided itself on being. It is a nation stricken by violence from birth. The pervasiveness of the violence was obfuscated for years by the fact that much of it was directed by the state and the elites against society and the masses, not the other way around. The current rash of violence by society against the state and the elites is not a new trend. It is simply a retargeting. And Mexico is unpredictable. Reportedly, the dictator Porfirio Diaz remarked, as he sailed for exile in France in 1911, "In Mexico nothing ever happens until it happens." The country erupts sporadically and regionally because the inequities from which it suffers become at some point intolerable -- worse than any conceivable consequence of attempting to redress them, by whatever means. But the very inequality and segregation from which those eruptions spring make it impossible to foresee them. Mexican politicians, establishment intellectuals, and businessmen were too estranged from the indigenous peoples of Chiapas early last year, from university students in 1968, and from the peasants in Morelos in 1910 to sense when tolerance had been stretched too far. The "leading indicators" available to scholars, pundits, and technocrats in the United States and elsewhere do not operate in Mexico. Time A SECOND, cultural difference often drives Americans and other foreigners in Mexico to distraction, largely because they refuse to admit its existence. It has to do with time: stereotypically and arrogantly it's called the manana syndrome, or, as the T-shirts have it, I'm on Mexican Time. As Octavio Paz wrote in his memorable "Reflections: Mexico and the United States," published in The New Yorker in 1979, the two societies differ dramatically in their position as regards time. And it is no coincidence that Mexico's greatest living novelist has titled the sum of his life's work The Age of Time: Carlos Fuentes's obsession with time, by his own admission, fills half his narrative creation. The difference is not merely a question of punctuality, formality, or responsibility but rather one of the conception of time, its role in life, and its social function. The expression of the difference can undoubtedly be found in the stereotypes: Mexicans are, in most of the country, less punctual, quick, and hurried than Americans (or Germans or Britons, for that matter). But to reduce deep differences in culture and tradition to one of their most obvious manifestations is to miss an essential characteristic of Mexican life and customs. Furthermore, time is not just a question of time. Mexico's definition of time is not "pre-modern" and soon to be "modern." Mexicans are not "still" plagued by a lack of attachment to time; they are simply different. Nor is the difference inexplicable or mysterious; it has its explanations and origins. The nonexistence of a mass society in Mexico begins to explain it. Because of the abysses separating different sectors of Mexican society, in Mexico people can behave differently from one another, according to varying sets of rules. Millions of Mexicans consume, work, rest, and drive the same way, of course, but many more do not. Some Mexicans attach great importance to time; others may choose to act differently, without prejudice to themselves. Certain Mexicans can subscribe to a series of rules, from traffic regulations to work discipline and punctuality; others can decide, consciously or otherwise, that they prefer not to. The absence of an authentic mass society allows for these mass exceptions. There is a sociological explanation too. Because so many Mexicans work, live, and even love informally, time is not of the essence. Letting and watching time go by, being late (an hour, a day, a week), are not grievous offenses. They simply indicate a lower rung on the ladder of priorities. It is more important to see a friend or the family than to keep an appointment or make it to work, especially when work consists of hawking wares on street corners. An economic explanation is also available: there is a severe lack of incentives for being on time, delivering on time, or working overtime. Since most people are paid little for what they do, the prize for punctuality and formality can be meaningless: time is often not money in Mexico. The choice between making a few pesos more and having a good time is easy and as rational as any other. Everything is slow in Mexico, but not because Mexicans cannot do things quickly. Everything is slow because the passage of time is not very noticeable. Time is flat: too frequently nothing changes with time, and the sense of its going by -- the reason for putting a premium on it -- is absent. Much of Mexico lacks seasons except when it rains and when it doesn't, and in the countryside the dry season is basically devoted to waiting for rain; for this and more-complex reasons as well, time in Mexico is not what it is in the United States. Time divides our two countries as much as any other single factor. One of the most obvious implications of this difference -- which actually pertains to much of Latin America, particularly those nations with a strong pre-Columbian heritage -- is that immediate responses, rapid cause-and-effect sequences, are rare. Time lags, delayed reactions, an often incomprehensible patience, tend to be much more common. Quick causes are not always matched by equally quick effects. On many occasions the effect is simply slow in coming: it will happen, in time. This expression of the difference is somewhat unsettling to foreigners, especially Americans. When "nothing happens" in Mexico right after a particular event, such as recognition of the Church by the State, the decision to enter into a free-trade agreement with the United States, the privatization of the traditional ejido land-tenure system, an armed uprising in the countryside, the assassination of a presidential candidate, the stealing of an election, or the advent of an economic crisis, external observers or students of Mexico often tend to assume that "nothing" will continue to happen. But the time lag between cause and effect is simply greater than outsiders expect. The Chiapas rebellion, to review a recent example, was largely motivated by a convergent series of trends in the making for several years in Mexico: the fall in world prices for coffee (the main crop in the Chiapas highlands), the dismantling of the old price-support system, the consciousness-raising effort carried out by priests and lay workers in the area, the organizational work undertaken by agrarian semi-Maoist activists from the north, the eviction of indigenous communities from their land by cattle grazers and timber companies. None of these trends was recent; they were all set in motion some time ago. Why they came together on January 1, 1994, is anybody's guess, even if the Zapatistas said that the date was chosen to reflect their disapproval of NAFTA, which went into effect on the first of the year. The absence of any perceptible reaction to those trends before that date did not mean that they were not operating. It just took time for them to come to fruition. History THE third difference between Mexico and the United States is directly related to the question of time: the role and weight of history in the two cultures. One of the reasons that time so divides Mexico and the United States is that on a broader scale it seems to be more nearly immobile south of the border. Historical time is slower; fewer blips appear on the historical screen; permanence and immobility, much more than change, are perceived as the main features. Mexican history appears to be one long continuum, with great and long constants and underlying continuities, and only sporadic bursts of compressed, highly intense events. From the great pre-Columbian civilizations to the conquest there is perceived continuity; from the conquest to independence is a 300-year period of apparent colonial continuity; from independence through the U.S. -- Mexican War, la Reforma, and the French intervention, on to the Porfiriato and up to the Revolution is an additional century of nation-building continuity; from the Revolution through the oil expropriation and the student movement of 1968 and all the way to the current crisis is the continuity of "the system." The bursts of events become more frequent, perhaps more intense, but still, long-term continuity reigns supreme. In this conception of history, what little change there is acquires inordinate importance. Each cluster of events becomes crucial. The rest of the time not much occurs, but whatever does is overloaded with meaning and import for the future. Although the different significance attached to history has often been emphasized -- leading to the cliche that Mexicans are obsessed with history, Americans with the future -- the deep gap it opens between two nations and cultures makes it far more than a matter of temperament. For the United States, history is folklore plus the recent past; for Mexico it is the essence of the present. There are many good reasons for this difference. To begin with, history has played different roles in nation-building in the two countries. In the United States, the quintessential country of immigrants, history has barely served to forge the ties that bind a nation together, because the past is not common to successive waves of immigrants. Many other factors fill the void that history leaves: the rule of law, the frontier, an ideological attachment to a unique form of government, and so forth. Mexico, on the other hand (a country whose only large-scale immigration was the Spanish conquest and 300-year colonization), to the (dubious) extent that it is a fully consummated nation, is so because of a common origin, from which everything else stems: territory, la raza, language, religion. These all date back to the conquest, and to the successive episodes of Mexico's subsequent transformation: independence, the reform and Juarez, the Revolution. 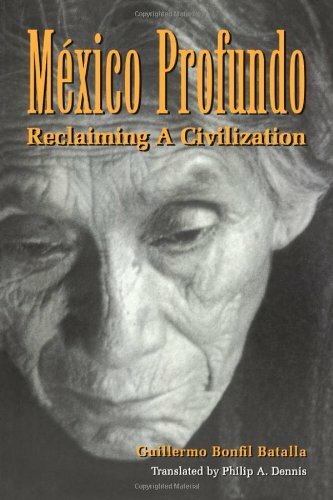 In a country as deeply divided as Mexico, as segregated socially and as splintered regionally and ethnically, one of the few unifying themes is precisely, though paradoxically, a shared history, even if an official version of it has to be invented in order for its study and reading to be common to all. This is why debates over school history texts, historical figures, favorite periods, and past moments of national shame are so impassioned. The way history is taught, read, and written is a fundamental part of political debates, of ideological discourse, and even of policy options. The two national debates that took place in 1992 and 1993 over the rewriting of the nation's elementary school history manuals were revealing and foreseeable, though they obviously surprised the government of President Salinas. It was not just the textbook that was being rewritten, of course; the country's entire history underwent an excruciating revision. Political passions and nationalist emotions were unexpectedly ignited by seemingly arcane or obsolete discussions of the colonial period; of the way in which Mexico lost more than half its territory to the United States; of what was or was not a balanced assessment of the Porfiriato period of foreign-dominated, authoritarian, but undeniable economic development at the turn of the century; of the 1968 student massacre in Tlatelolco and the final verdict on the administrations of Presidents Luis Echeverria and Jose Lopez Portillo. The surprise this time was all the greater because the outburst of national introspection occurred at a time when it seemed that Mexico had, as many American commentators surmised, put its demons and obsessions behind it. But these are not demons or obsessions: they are among the few strings that tie an unfinished and polarized nation together. Mexicans harp on past tensions and conflicts with the United States not because of anti-Americanism but because of the significance of history. It's the history that counts, not the Americans' specific part in it. The United States is just one slice of Mexican history, whereas the idea of history cuts across every segment of Mexican political and cultural life: its literature and archaeology, its education and art, its identity or lack of identity. If the American dream is the archetypal bond in the United States, the Mexican memory unites Mexico. Without it the country as we know it might simply not exist. Again, the Chiapas episode neatly illustrates the weight of history. The peasants and organizers in Chiapas rose up in arms under the banner of possibly the most revered hero of the Mexican Revolution -- Emiliano Zapata, a visionary village leader from the central state of Morelos. As every Marlon Brando fan knows, Zapata was betrayed and assassinated in the hacienda of Chinameca, on the orders of his revolutionary rival and President, Venustiano Carranza. In a country where treason abounds and loyalties are short-lived, the sensitivity to betrayal is always high. It rose to a boiling point a few days after the Chiapas rebellion exploded, as President Salinas de Gortari, either out of insensitivity or with deliberate symbolism, issued his proclamation of amnesty for the Chiapas insurgents in the Carranza Room of the presidential palace. He addressed the nation with a portrait of the white-haired, bearded co-author of Mexico's constitution behind him. Zapata's self-styled heirs were being forgiven under the watchful gaze of the idol's murderer -- a message not particularly comforting or subliminal. The rebels' leader, Subcomandante Marcos, promptly stated his mistrust of Salinas's amnesty, and pundits and historians seized on the historical irony. Was the Carranza-sponsored amnesty for the Zapatistas a replay of the tragedy at Chinameca? Another, deeper question was less insistently asked: Where else besides Mexico could such a discussion of the value and relevance of historical symbols take place, and what meaning did it hold for Mexican modernity? How was it that a name like Zapata continued to possess such a grip on Mexicans' memories and motivation for struggle and sacrifice? One answer is that the recourse to history as an instrument of political debate and contention, and the need to refer to it constantly for electoral or insurrectional purposes, is in all likelihood a deeply ingrained, possibly permanent feature of Mexican life. Like the perception of time, it is not a lagging indicator, not ballast from Mexico's pre-modern past that must and will be shed as the country ventures forth into modernity. Inequality, time, history, are not soluble in water or free trade. The true test of partnership lies in acknowledging and mastering differences, without pretending that they are either subsidiary or passing. The ones addressed here are neither: they are essential, and lasting. From 1940 to 1980 the Mexican economy grew at an average rate of about seven percent a year; that is largely how the existing middle class was created. It will take at least that many years, with similar rates of growth, or twice as long at half the pace, to expand that middle class to the magnitude it has in the United States. Mexico's social configuration will begin to look like the United States' sometime in the middle of the next century, if all goes well. We in Mexico will live on "Mexican time" at least until then, and probably until much later. Were this a problem standing in the way of a better and closer relationship, it would have no solution -- a terribly un-American difficulty. But it is just a reality -- one in whose joys and promise Mexicans and Americans, along with those millions that are both, should all revel and indulge. Similarly, Mexico will continue to surprise Americans, as it should. All the more reason, perhaps, to heed warnings when they do surface, to avoid surprises when future events are fully forecast. The aftermath of Mexico's current economic debacle is obviously one such occasion, and one particular call of alarm should be listened to. Washington rashly imposed on President Zedillo conditions for its economic assistance that few other nations in the world would have accepted, much less nations as proud and independent as Mexico once was. Those conditions will worsen what is already the most drastic recession and the most serious aggravation of social tensions in Mexico in decades. During the NAFTA debate and at the height of his credibility in the United States, Carlos Salinas argued that failure to ratify the treaty would bring about an economic collapse in Mexico, which in turn would bring about a wave of undocumented immigration to the north. The economic collapse came anyway, but the wave looks more like a steadily rising tide. Were the Clinton Administration, in its obsession with re-election politics, to try to stem that tide, it would threaten the only true deterrent to the proverbial wave:Mexican stability. Any attempt to clamp down on immigration from the south -- by sealing the border militarily, by forcing Mexico to deter its citizens from emigrating, or through some federal version of California's Proposition 187 -- will make social peace in the barrios and pueblos of Mexico untenable. The United States has traditionally made the right choice between what it considers two connected evils: Mexican instability and Mexican immigration. It fears both but clearly prefers the latter, knowing that the former would only worsen matters. Indeed, immigration has not been a problem in binational relations but, rather, has been part of the solution to other, graver problems. Some Americans -- undoubtedly more than before -- dislike immigration, but there is very little they can do about it, and the consequences of trying to stop immigration would also certainly be more pernicious than any conceivable advantage. The United States should count its blessings: it has dodged instability on its borders since the Mexican Revolution, now nearly a century ago. The warnings from Mexico are loud and clear;this time it might be a good idea to heed them. Jorge G. Castañeda, a professor of international affairs at the National Autonomous University of Mexico, is working on a biography of Che Guevara. His book The Mexican Shock will be published in the fall. The Atlantic Monthly; July 1995; Ferocious Differences; Volume 276, No. 1; pages 68 - 76.